Birthdays are special occasions and almost everyone looks forward to celebrating his or her special day. Unfortunately, in today’s hectic world, it is possible to forget a loved one’s birthday. Belated birthday wishes are still appropriate to deliver. One just needs to make sure they are sincere. It’s never too late to show someone you care. 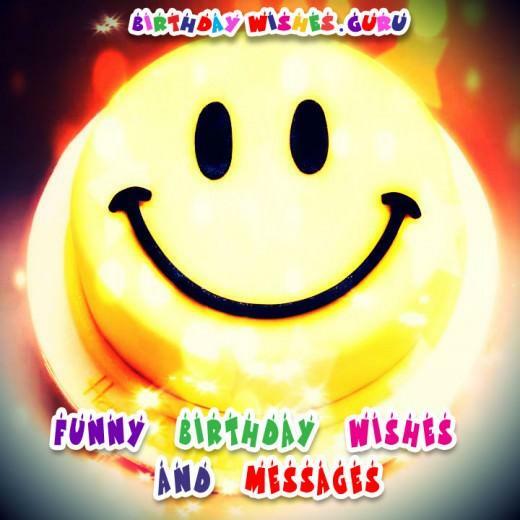 Check out our wonderful collection of belated birthday messages and funny wishes for your friends and family. Send them an unforgettable birthday message on a card, by SMS, by email or on social media. I didn’t want to compete with everybody else so that’s why my birthday wish is late! If fashionably late is a thing, than I never have to worry about going out of style. Happy Belated, my dear friend. The best part about having a fantastic friend like you is that you always forgive anyone who sends his birthday wish late. Happy Birthday! Time goes by so fast and sometimes I miss things. I am so sorry but I want to say Happy Belated Birthday! I forgot your birthday on purpose so you always remember I did and remember me! Happy Birthday! There’s a great excuse for why I missed your birthday and as soon as I think of one, I will let you know. The party never stops so your birthday wishes should never stop! Happy Birthday! I’m planning to see a memory loss doctor. You probably know why. The best thing about me forgetting your birthday is that we have another day to celebrate! Happy Birthday! You are used to my forgetfulness by now. I promise I will make this up to you! Happy Birthday! I was so excited about your special day that I overslept and I missed it. Happy Birthday! Birthdays are the best days…I promise I won’t miss the next one! Happy Birthday! Sorry I forgot about your day. I promise I won’t be mad if you forget about mine. Happy Birthday! It seems as if I’m a day late and a dollar short. Hopefully, my gift will make this up to you. Happy Birthday! Although I missed your special day, I know that every day can be a special day. Happy Birthday! The message might be late but the meaning is a true as ever. I wish you the best day ever, everyday! The best thing about me missing your special day? You get to have me make it up to you. Whoops I missed your birthday. It’s only because I was thinking up something cool to do with you. I know I’ve messed this up and I apologize. I’ll make it up to next year, and the year after that, and the year, after that. I am so embarrassed that I missed your birthday. I hope you will let me make it up to you. You are one of my best friends. I am so sorry I am late in sending you birthday wishes. 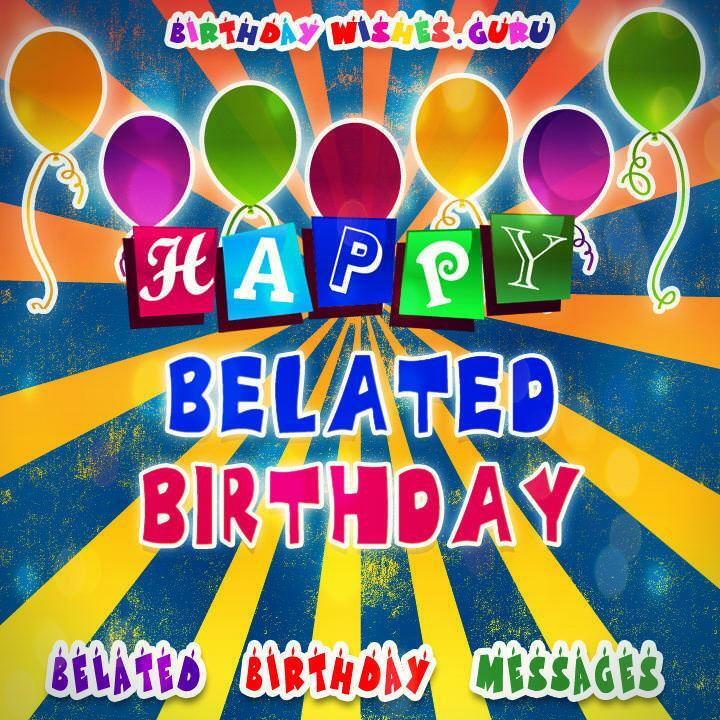 My message to you, dear friend, is to enjoy your special day. I am so sorry that I am late. I tried to write so many messages! That’s why it has taken me so long to send them to you. You know the saying “better late than never”? I hope you believe it because here is my birthday greeting to you, better late than never. What did the turtle say to the hare? Sorry I’m so slow! You are so special to me and I am so sorry to have missed your day. Let me make it up to you! Don’t be mad because I am late for your birthday! Be happy because I am early for next year’s! I love your birthday so much; I wanted to celebrate it with you by yourself. Happy Belated Birthday! I am so sorry to have missed your special day. I hope I can make it up to you. I have just remembered that someone was celebrating her birthday today. Bet everyone sent his (or her) birthday wish on time, and that you are only mad at me. I know you are mad at me for remembering your birthday this late. But at least you won’t kill me for not sending one. Please tell me how I can make this up to you. I intentionally chose to send my birthday wish this late; just to prolong your birthday celebration. If you were the one sending me a birthday message this late, I could have forgiven you. So do the same for me today. Happy Birthday! I was going to send this birthday message right on time, and then I remembered it could have just been like any other birthday wish you received yesterday. I should probably kill myself for forgetting your birthday. But if I indeed kill myself, who will be sending you the best birthday message come next year? You’ve always been special to me to a point where I almost forgot that there’s this one day when you are even more special to everyone. I hate telling the people I love that they’re getting older. It took me courage to post this. If someone ever sends me a birthday text this late, I’d probably call it quits. But I’m glad that you’ve always been different from me. I might have missed to greet you on your birthday, but I didn’t forget to remind you that you’ve always been special to lots of people, including me… And that you deserved the best celebration on your birthday. If you forget my birthday because I forgot yours, you’ll probably be equally as bad… So do the necessary and forgive me. I have a tendency of forgetting people’s birthday. So why should I make you an exception? Sorry for the late greetings! If you ever forget my birthday, I would probably understand. Better late than never… I just wanted you see that I perfectly know how to use this saying in the right context.